2009 ASA Softball Complex of the Year! 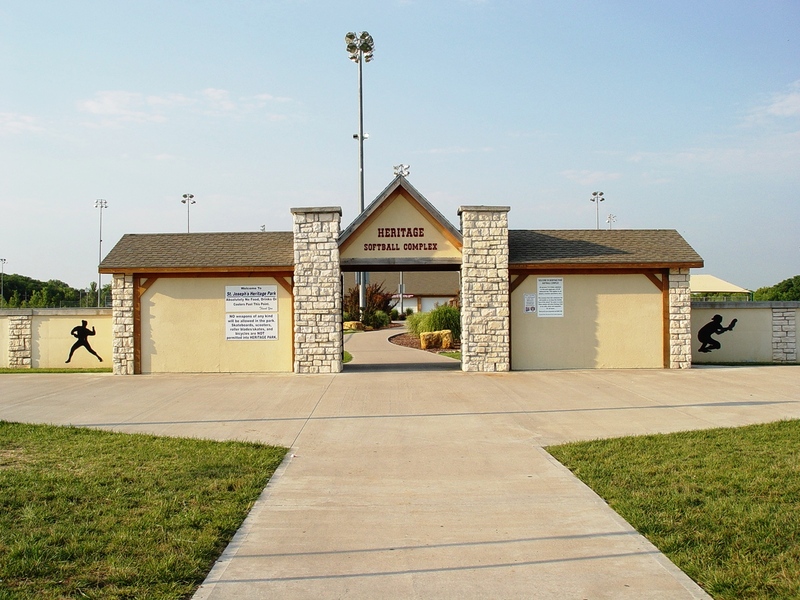 Heritage Park Softball Complex is a state-of-the-art park with many great amenities. The five-field softball complex is located adjacent to the Missouri River and in close proximity to the Remington Nature Center. It was named the 2009 National Amateur Softball Association Complex of the Year. There have been ten national tournaments, several regional and state tournaments, as well as many locally sponsored contests and tournaments since opening in 2003. These tournaments have made a tremendous impact on the local economy. This premiere sports complex includes one 250 foot and four 300 foot irrigated fields. Each field includes a covered dugout, scoreboard and "state-of-the-art" MUSCO lighting. The Championship field includes a press box, permanent "chair-back" for 400 and bleacher style seating for another 1,200 people. A concession stand, restrooms, and shaded seating can be found in the 6,000 square foot pavilion located in the center of the complex. Outside the pavilion is a playground with a rubber floor that is covered and fenced. Learn more about what happened during 2018 for parks recreation and programming by reading our year in review. This complex provides a large space for your next recreation event or outdoor meeting. Reserve this facility today!